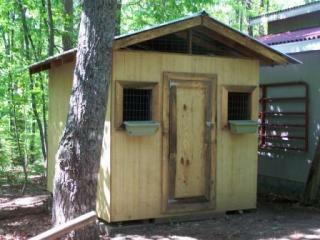 In April of 2009 we decided to get some chickens for our family! 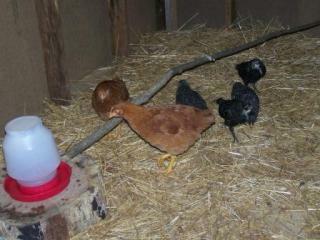 We wanted to let our oldest son be responsible for them...so we bought two New Hampshire Reds from our local feed store. They were a week old when we got them...so at that time we didn't have any where to keep them so we put them in our bathroom closet! 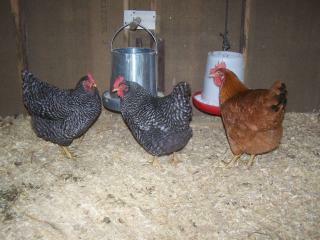 Three weeks later we decided to pick up four more chickens...we came home with 2 Barred Rock and 2 Jersey Giants! The month of September has been great! 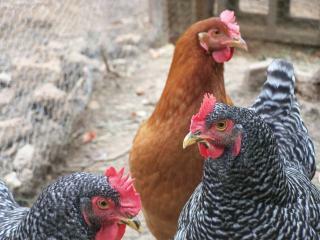 I started to get about two eggs a day from the New Hampshire Reds…then one of the Jersey Giants started laying eggs too. 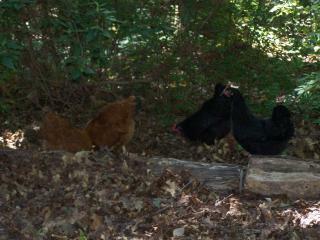 Now I am getting some from all of the chickens except one. I thought that she may be a he, but after posting the picture in the forum many of you said that HE was a SHE! 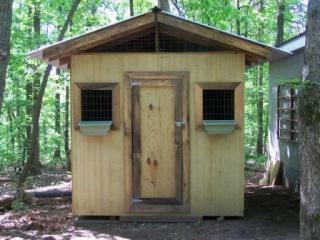 I hope to be getting eggs from all six soon! 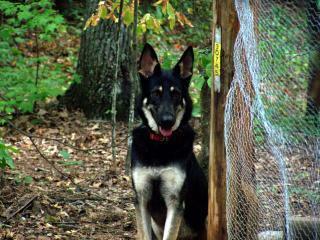 Below is Sam...our GSD...He is the protector for the Chickens and also loves to aggravate them too!